All of the Hotels featured on our site allow pets. At 'Pet Holiday Finder' we only accept holiday accommodation that is pet & dog friendly, so now you can be sure that you will find a holiday Hotel that is perfect for you and your pet. Scroll down to view the Hotels for Wales. Dog Friendly Holidays Brecon Beacons Powys. Walks all around. Log fires and stunning views. Choose from hotel to self catering accommodation. Local attractions include showcaves of Wales, Aberdulais Falls, Big Pit, Swansea, the Gower, Brecon beacons National Park. Dog Friendly Hotel in Gower. Situated on a stunning, accessible blue flag beach, our modern accommodation encompasses a one or two bed room apartments offering open plan living/kitchen/dining room. Direct private access to a garden area. 197 Falcondale Mansion Hotel, Lampeter, Ceredigion, Cardiganshire Wales, SA48 7RX. Hotel Pets welcome; Dogs, cats, small caged animals allowed. Set in the heart of the Welsh countryside, the Falcondale Mansion is happy to welcome pet owners. £145 standard double or twin, £165 better double or twin, £185 better double or twin. 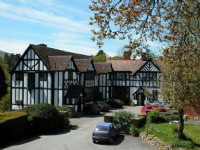 Prices are per room per night, based on two people sharing and include Full Welsh breakfast. Hotel 14 bed Pets Welcome; dogs, cats allowed. 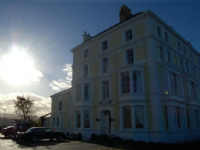 We are an extremely dog friendly hotel in North Wales ideally situated between the coast and mountains. Dogs welcome in our rooms and public areas. 12 Bedrooms - Norton Manor Hotel and Restaurant, Set in the beautiful, rural countryside of Radnorshire surrounded by fields ideal for dogs exercise. Pets welcomed by prior arrangement.